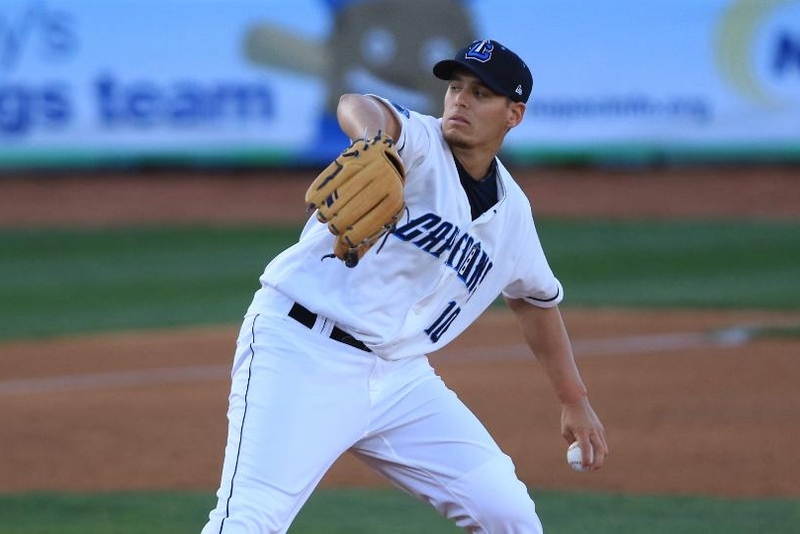 Despite having an overall disappointing season, Lake County Captains LHP Brady Aiken still has occasionally shown flashes of what made him a two-time first-round draft pick. Thursday night’s game featured one such flash, as Aiken took a no-hitter into the 6th inning and ended up allowing only one run on one hit (a solo homer by Edward Olivares) while scattering four walks in seven innings against the Lansing Lugnuts. He struck out three batters in Lake County’s 7-1 win. In 23 starts this season, Aiken is 5-12 with a 4.82 ERA, 70 strikeouts and 85 walks in 112 innings. It is worth noting he underwent Tommy John surgery in 2015, before the Cleveland Indians drafted him No. 17 overall that year. Lake County’s Conner Capel went 3-for-5 with one RBI in Thursday’s game, while teammate Mitch Longo went 2-for-4 with two doubles, a walk and an RBI. The Indians traded Captains reliever Ryder Ryan to the New York Mets in a one-for-one deal for power-hitting outfielder Jay Bruce on Wednesday. 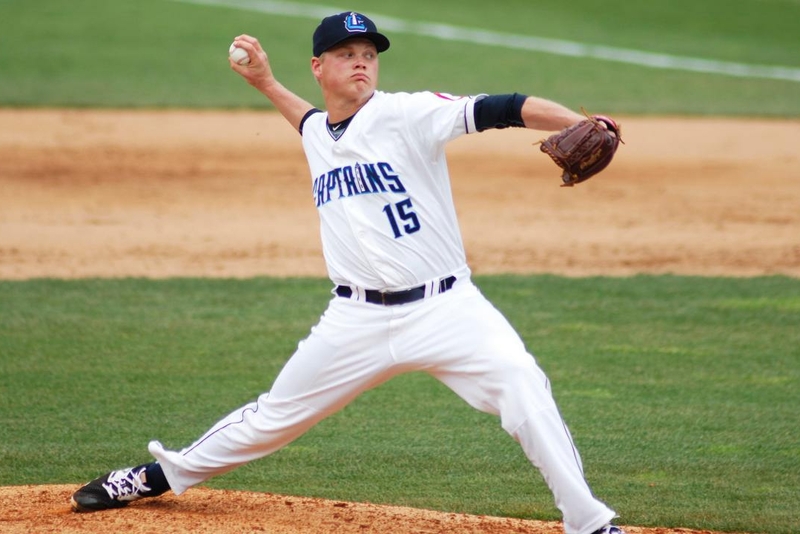 Ryan made 33 relief appearances for the Captains this season, posting a 4.79 ERA with six saves, 49 strikeouts and 17 walks in 41.1 innings. He pitched one-third of an inning in this year’s Midwest League All-Star Game. Bruce batted .256 with 29 HR and 75 RBI in 103 games with the Mets this season. He played for the Dayton Dragons in 2006, batting .291 with 16 HR, 81 RBI and 19 SB in 117 games. The 10-year MLB veteran is eligible for free agency after this season. This entry was posted in 2017 All-Star Game, Dayton Dragons, Lake County Captains, Lansing Lugnuts, Midwest League. Bookmark the permalink.